Fans are no longer being held hostage to fears that this show is cancelled. Finally, CBS has renewed its low-rated Ransom TV show for a second season. On May 17, 2017, it looked like Ransom would be cancelled. By May 19th, however, we reported there was still a chance this international co-production would be renewed for season two. 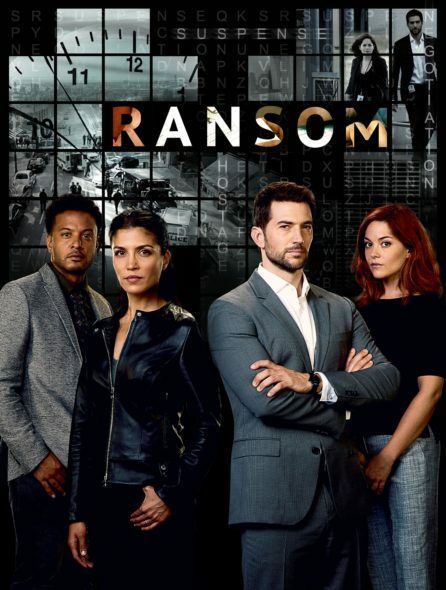 A CBS crime drama from creators Frank Spotnitz and David Vainola, Ransom follows experienced crisis and hostage negotiator, Eric Beaumont (Luke Roberts). The cast also includes Brandon Jay McLaren, Nazneen Contractor, and Sarah Greene. The Ransom season two premiere date has not yet been announced. Learn more about the Ransom season two renewal from this CBS press release. STUDIO CITY, Calif. – Oct. 10, 2017 – CBS today announced that the drama series RANSOM has been renewed for a second season. The 13-episode order will be filmed in Hungary for broadcast next year. Additional details will be announced at a later date. RANSOM stars Luke Roberts as expert hostage negotiator Eric Beaumont whose team is brought in to save lives when no one else can. Sarah Greene, Brandon Jay McLaren and Nazneen Contractor also star. The series is inspired by the professional experiences of distinguished crisis negotiator Laurent Combalbert, who, along with his partner, Marwan Mery, are among the top negotiators in the world. RANSOM was created by David Vainola (“Diamonds,” “Combat Hospital”) and Frank Spotnitz (“The X-Files,” “The Man in the High Castle”). RANSOM is a Canada-Hungary treaty co-production, produced by Entertainment One (eOne) with executive producers Jennifer Kawaja and Julia Sereny (Sienna Films) and Spotnitz (Big Light Productions). Valerie Pechels and Odile McDonald (Wildcats Productions) will executive produce with Daniel Kresmery and György Rajnai (Korda Studios) co-producing. RANSOM is developed in association with Corus Entertainment Inc., with the participation from the Canada Media Fund, and produced with the financial assistance of the Ontario Film and Television Tax Credit and the Canadian Film or Video Production Tax Credit. eOne controls worldwide rights to the series. What do you think? Did you watch the first season of the Ransom TV series? Do you plan to tune in for season two of this CBS TV show? You know there is more audience out here than the 18 to 49 groups. I am 62 and love the show. Please keep our age group in mind. I do record them to watch later. Heck of a lot better than reality shows.